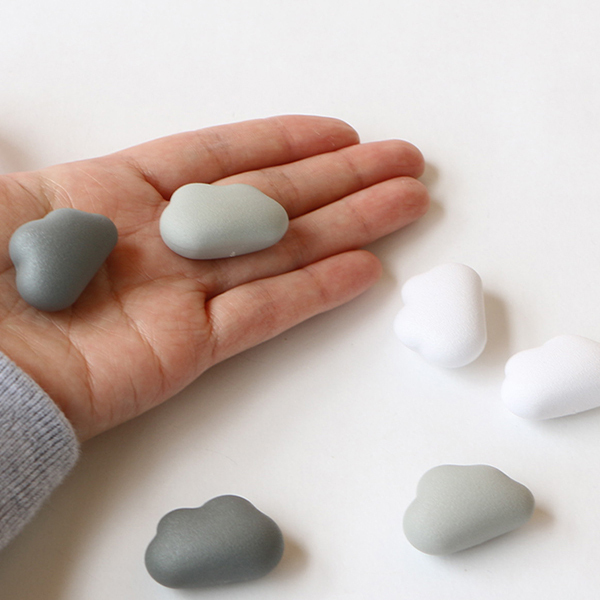 A set of 6 cloud magnets, with gradual colors from white to dark grey. 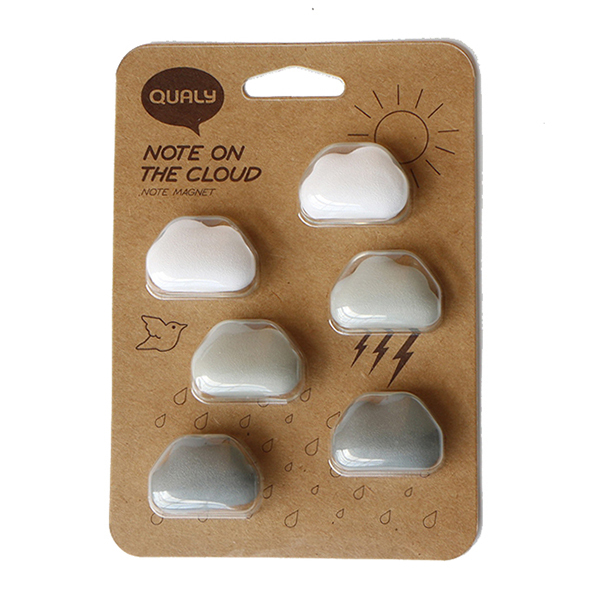 These little magnets can be used in office or at home, and are made of high quality plastic. 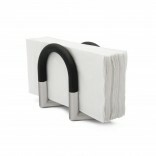 A cool office present, it also comes with a nice gift packing made of eco-friendly recycled paper. 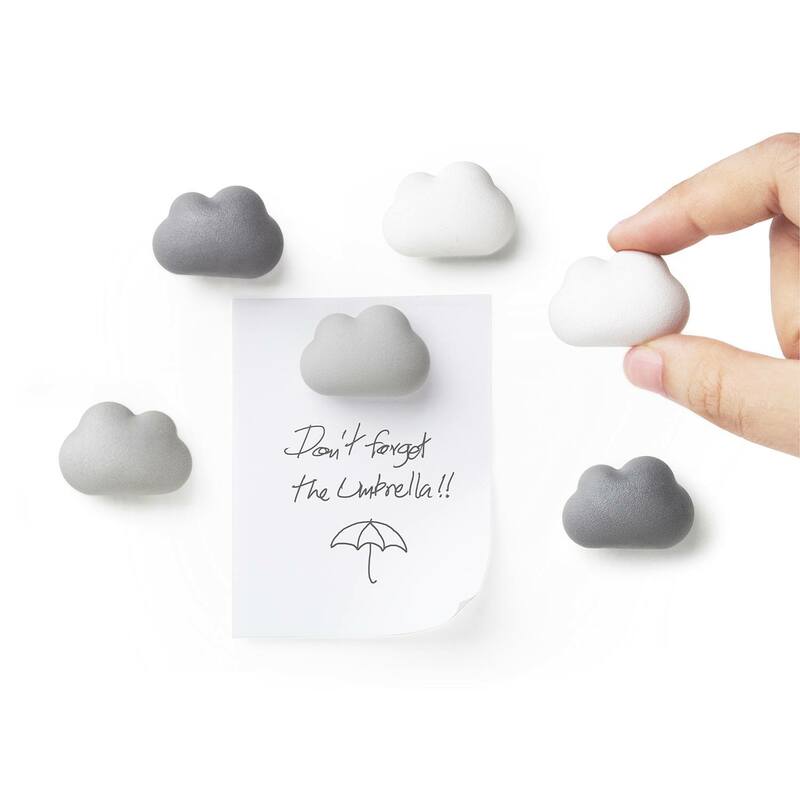 Get these adorable cumulus clouds to perk up your magnetic board. 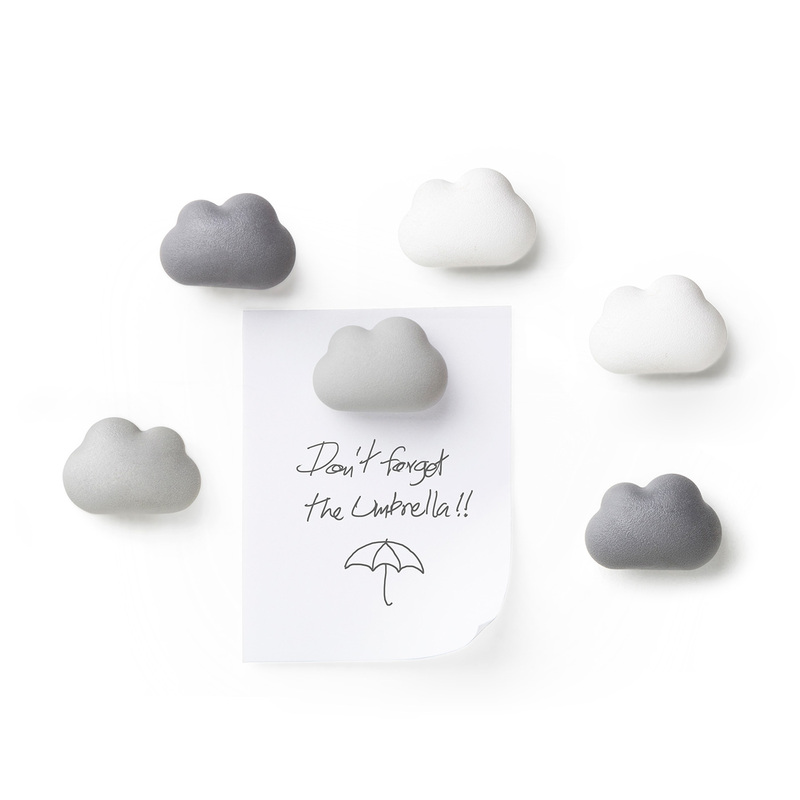 They might be grey but they aren’t gloomy at all! 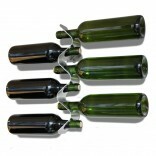 Dimensions: 0.5 cm x 3.1 cm x 2.1 cm.